There comes a point in everyone's life when you have to evaluate what means the most to you and decipher how your future is going to pan out. For many of my friends it is saving up for a mortgage, climbing their career ladders and eventually settling down with kids. There was one time when I wanted all that, but having lost some really important people who were close to me over the last few years and being diagnosed with two chronic illnesses, I have realised how short life is and my husband and I have decided that at this point in our lives, travel and seeing the world is more important than to us than bricks and mortar. I grew up in a working class family with not that much money - we did have quite a few luxuries and we didn't struggle too much, but we didn't have enough money to travel to far flung destinations. I have never been to America and it was only last year that I visited Asia and that was all thanks to this blog. Now that both my husband and I have fairly decent wages, we would like that to change and we are determined to save up for a big adventure and Indonesia is high up on our bucket list. Indonesia is the fourth most populated country in the world and is made up of over 17,000 islands. It is known for it's white luxurious beaches, endless water sporting opportunities, it's inhabitants include Komodo dragons and Orangutan's and the capital Jakarta has some of the best shopping malls in the world rivalling Bangkok and Singapore. Indonesia also boasts eight UNESCO World Heritage sites from temples to world famous rain forests. Visiting temples was my favourite part of my trip to Thailand early last year and I'm really eager to visit more. 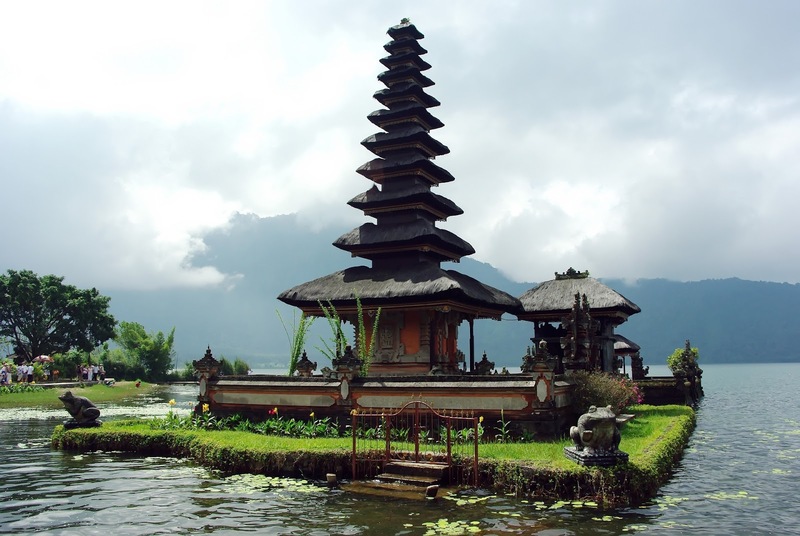 Bali alone has an estimated 5,000 temples. These vary from Candi temples - the Javanese ancient Hindu temples, Pura - Balinese temples and Kuil or Madir which are Indian Hindu temples. Borodubur in Central Java, Indonesia is the worlds largest Buddhist temple. I love the hustle and bustle of city life, especially cities that rely heavily on traditional street food vendors and haggling. Indonesia is a rather vegetarian friendly country with some of their traditonal dishes being - Bakwan Jagung (corn fritters), Sayur Lodeh (a traditional vegetable style soup), Sayur Asem - the Indonesian equivalent to Thai's Tom Yum soup. Growing up I spent more time in the water than out - I was always at swimming lessons, snorkelling club and then progressed onto scuba diving. Unfortunately I had really bad asthma when I was younger and couldn't scuba dive, but now I've grown out of it I would really like to learn again and scuba in some of the best diving spots in the world, many of which are in Indonesia.